Last week I received 8 L.A. 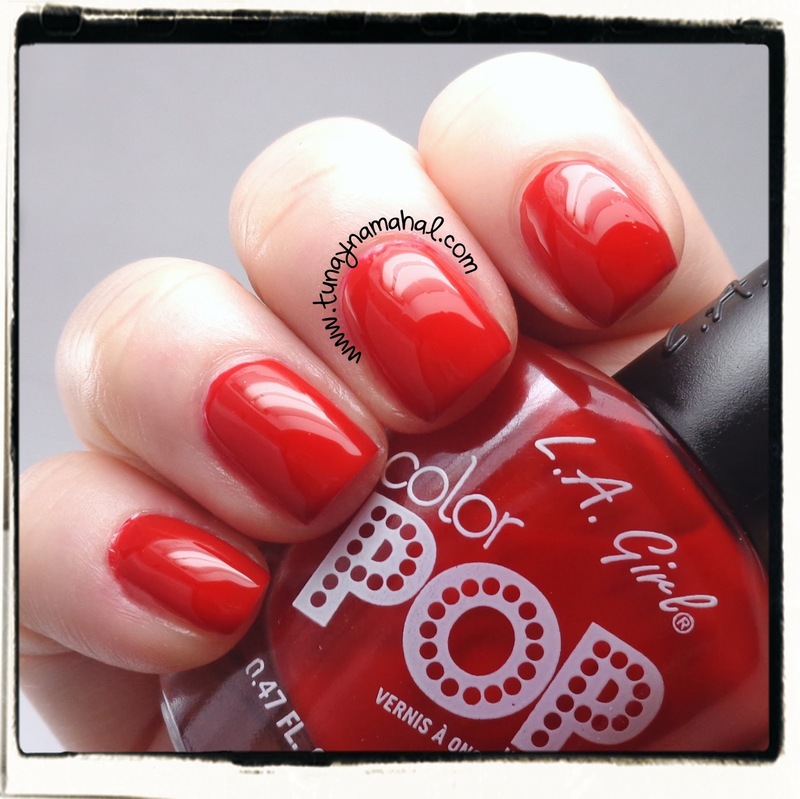 Girl Color Pop polishes from Vanessa at L.A. Girl Cosmetics. 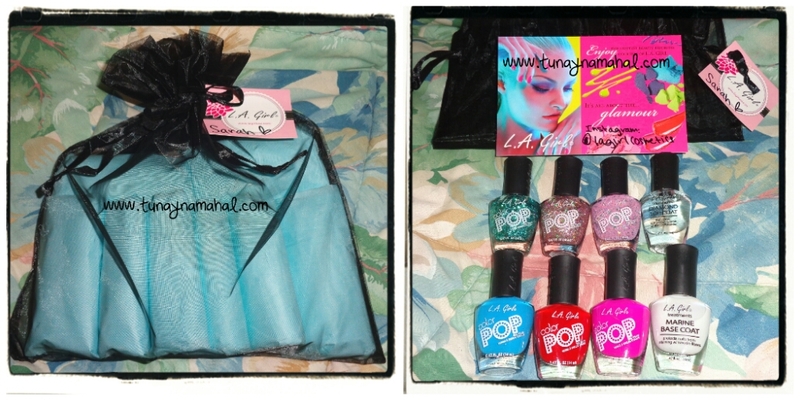 They were packaged really cute too! You can find L.A. 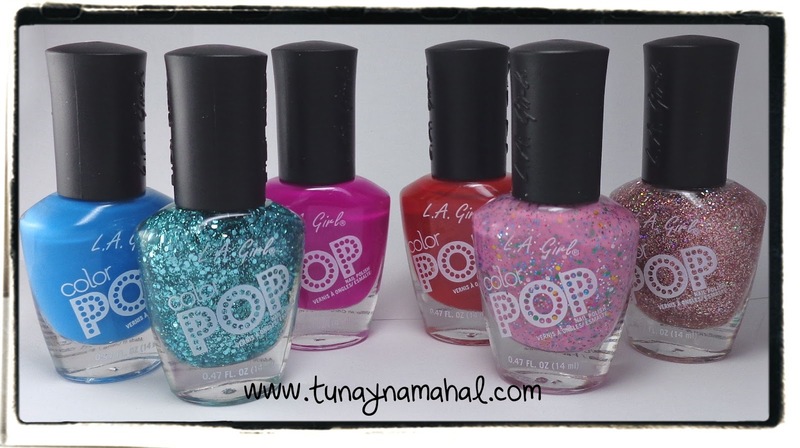 Girl polishes for sale at Rite Aid or you can purchase directly from their website. 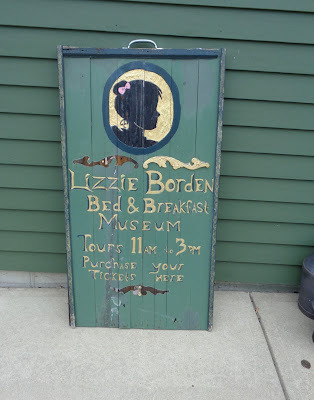 They retail for $5.00. I was sent: Plunge, Nostalgic, Blast, Amour, Birthday Cake, Burst. 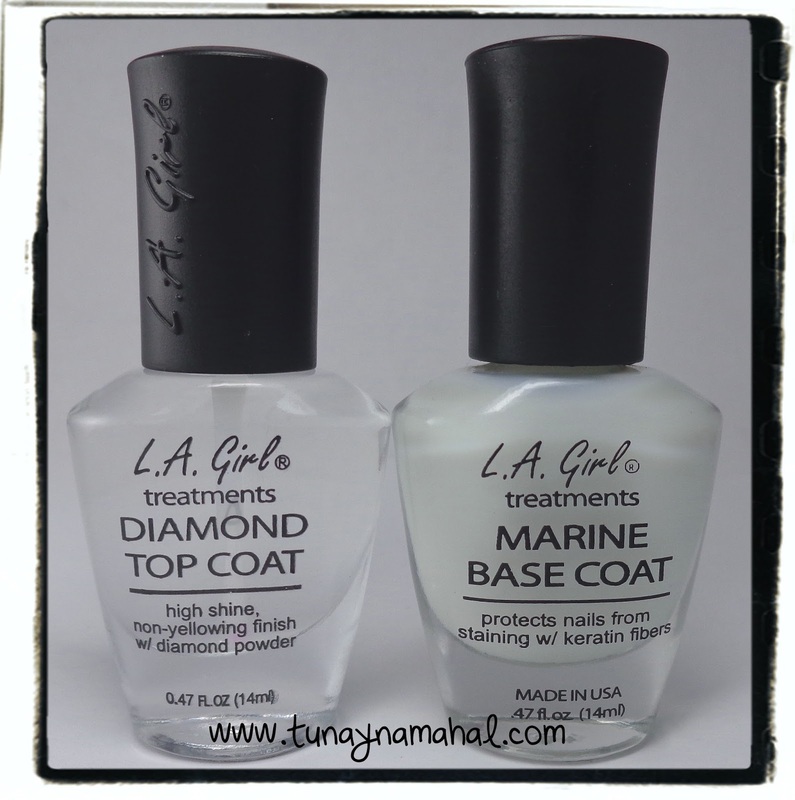 Diamond Topcoat & Marine Base Coat. Blast is a gorgeous bright purple fucshia color. It's so vibrant my camera tries to pick it up a little pinker than it is in person. Very nice formula not too runny and not too thick, for real life you would be good in 2 coats, but for under my bright lights I did 3 coats. 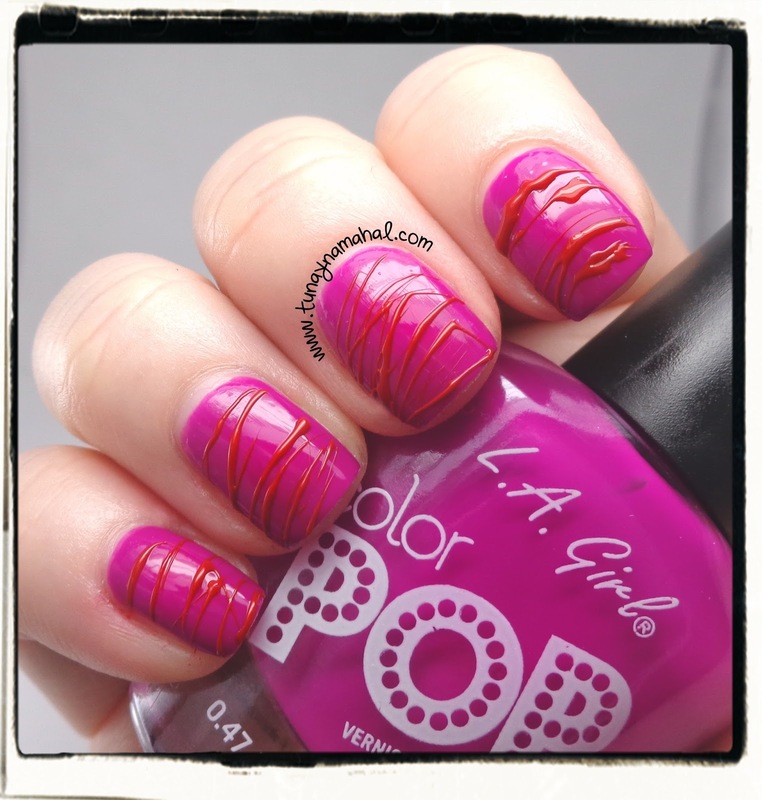 I also did my first Sugar Spun mani with Blast & Amour. (Thanks to Kat Stays Polished for the Sugar Spun tutorial). Amour is a beautiful bright red. I also did three coats, no problems with the formula. 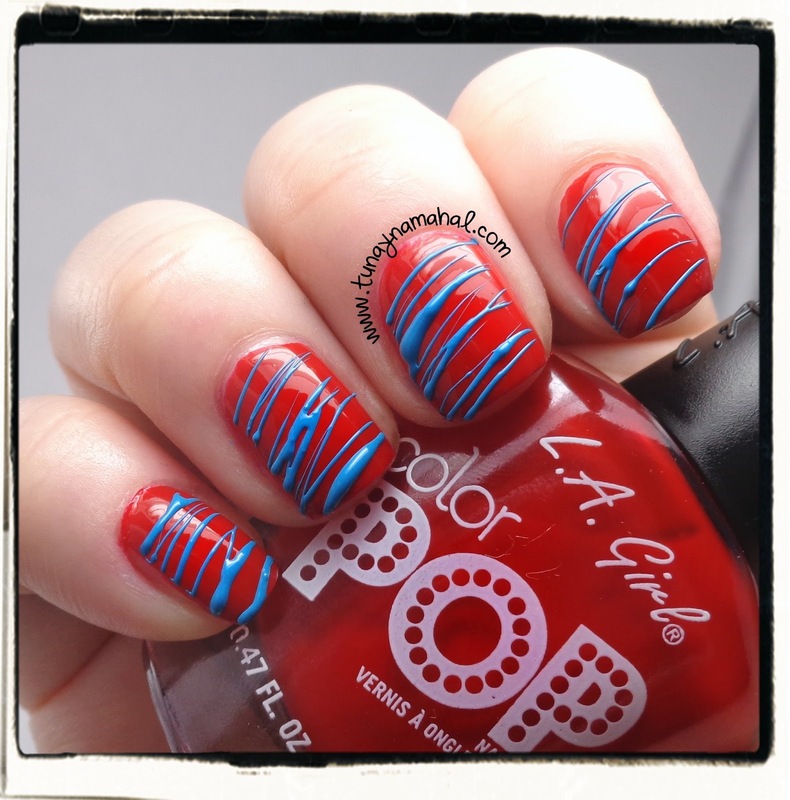 Another sugar spun mani with Amour & Plunge. I did one coat of Blast & Three coats of Burst. Burst is full of pink and holographic glitter. It's super super sparkly in person and I loved it layered over Blast. Birthday Cake is so awesome! It reminds me of Strawberry Icing with sprinkles. I did three coats for the photo. Plunge is a bright vibrant blue color. Again, perfect formula. None of these polishes were runny or too sheer. I did 3 coats of Plunge, but in real life you would be fine with 2. Nostalgic is so pretty in the bottle! It's full of teal glitter. I just wish it was more opaque on the nail. I did three coats over Plunge, but it still doesn't completely cover the nail, it's more of a glitter topper. I used the Marine Base Coat under all the polishes, and I can say I didn't have any staining, which I was worried about with such concentrated bright colors. 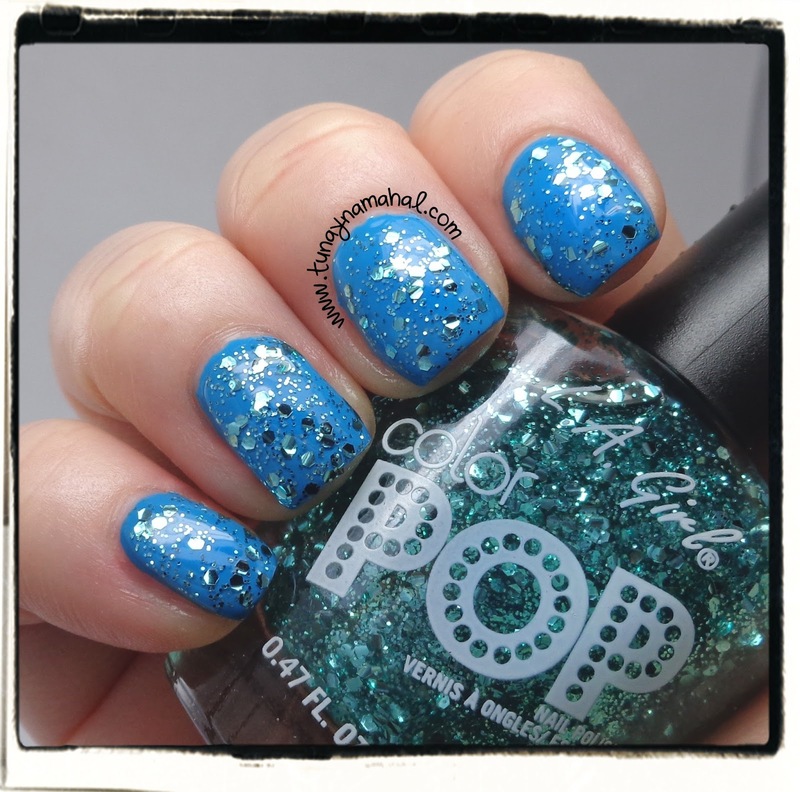 The Diamond Topcoat is just as shiny as Seche Vite, but just takes longer to dry. 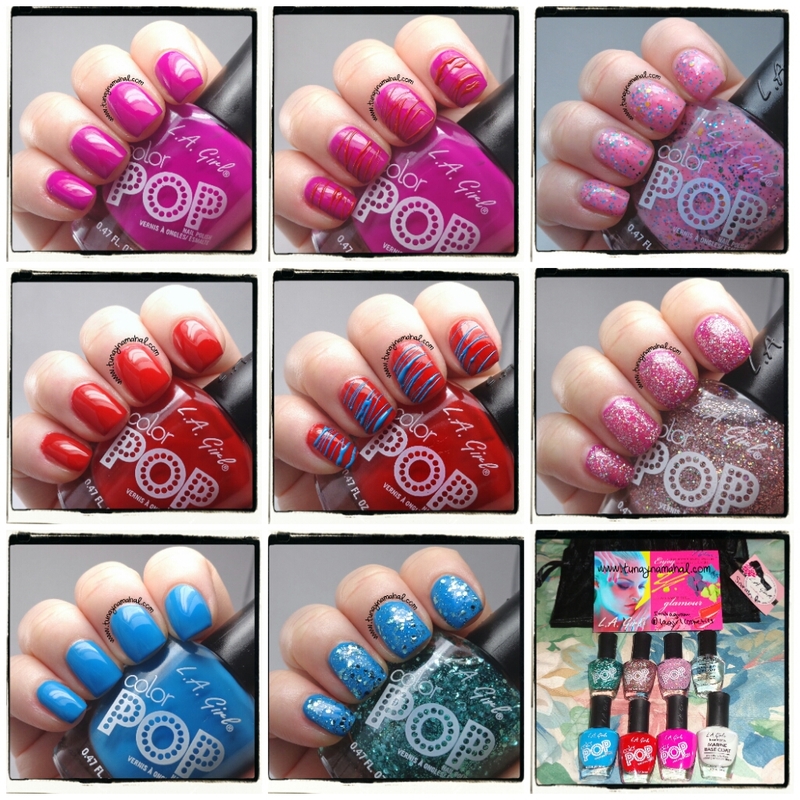 Which is your favorite from the Color Pop line?